Look at this NOTICE very carefully ! It has had everyone fooled for nearly 30 years ! It does not carry a seal ! 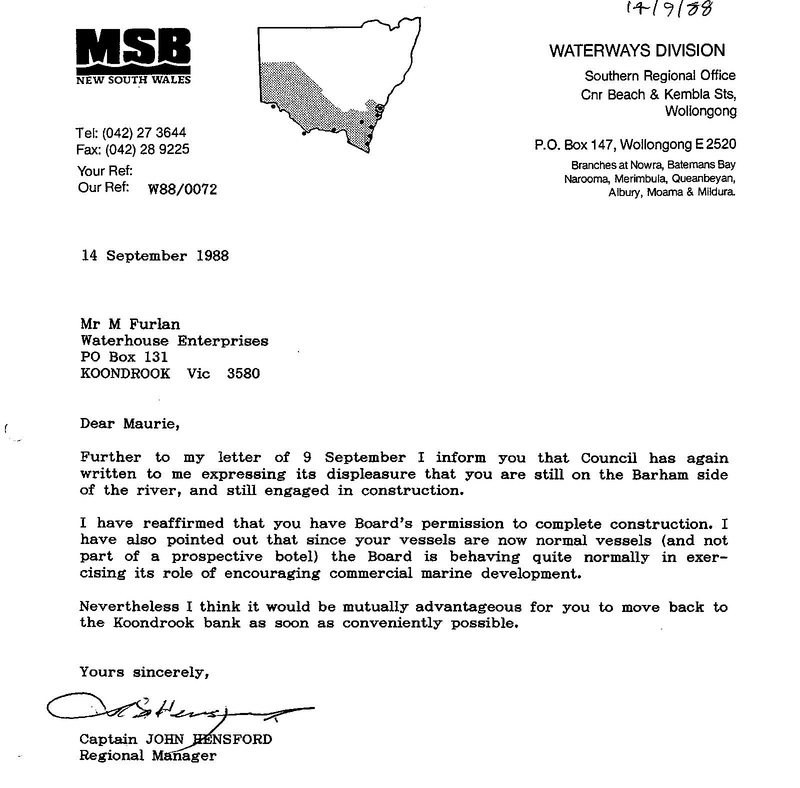 I am confident that the NSW Government does not have a record of it ! Captain John Hensford was the Maritime Regional Manager at the time. He cancelled the licence, issued the notice and carried out the threats. 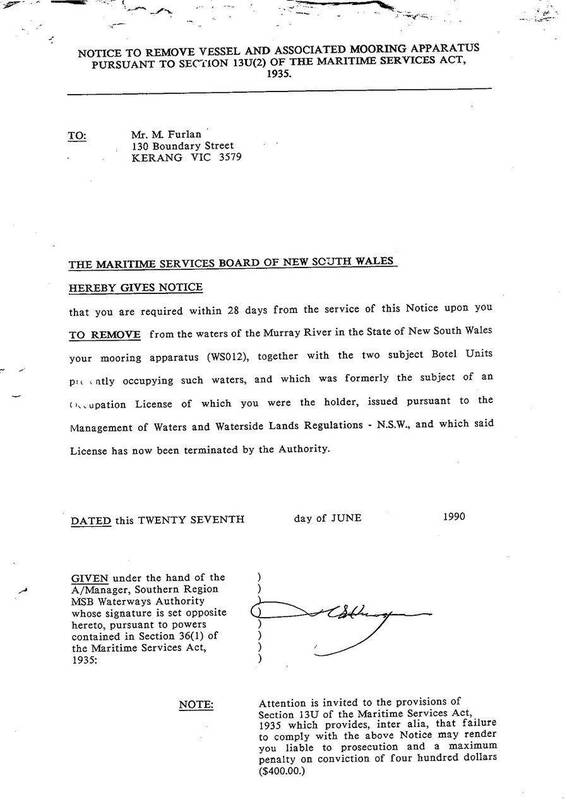 He broke ranks with Council and other NSW Departments and gave approval to construct the vessels. Bruce Baird was the responsible minister at the time. Early this year the case was re-opened and guess what followed ?